The day in which we live will create challenges for the church. A friend of mine has said that he doesn’t believe there will be full-time pastors in American churches within the next two generations. The lack of obedience to Scriptural teachings of giving and sacrifice are going to cause some serious issues. Will we be able to maintain facilities? Will we even have the capacity to build facilities? Will we be able to keep a missions force on the field? Will churches have to shrink the size of staffs? One problem I see is multiple generations want a Tiffany diamond ministry program, but they want to give on a Walmart level. The other issue we face is that many people now don’t give out of obedience and loyalty to a church; they give out of their feelings. The end result is someone on Facebook or TV makes an emotional appeal about clean water or a dog in a pound and we give without ever praying about it or asking, “Is this what God wants me to do?” Yes, we should care about others, but when it becomes my decision, then it is also my money. When I give to the church, I’m trusting the church and her leaders to be sensitive to what’s important in light of the mission. In the coming years, there will be increased pressure on non-profit groups, charitable organizations, and churches to raise funds. Those born after 1946 are largely unchurched, and those who are in church do not give as their parents and grandparents did. The church is faced with a declining giving base as the older generation dies off. In addition, Boomers, Busters, and Millennials give a much smaller percentage of their income than their ancestors. Not only are these generations giving less, but they are also spending the billions of dollars inherited from their parents at a record pace. Larger houses, more expensive cars, exotic trips, and designer clothes are no longer considered luxuries – they are necessities. The present generations, at the peak earning time of their lives, are also spending at a record pace. This also means they are incurring massive personal debt. How does the church respond to this growing crisis? What will the church of the new millennium do to stave off these growing financial problems and meet the ever increasing demands for ministry? What does a pastor and finance committee do when faced with a diversity of needs and a diminishing checking account? Here’s one way this could work. First, tell the Wednesday night prayer meeting crowd they can get in on the ground floor. Encourage them to participate because, after all, they are the heart and soul of the church, the faithful few and the remnant. They will be given the inside track so they can be the first to reap the blessings to come. Ask the Wednesday night crowd to sign up first for a low, low registration fee. Of course, we’re assuming that those who make prayer a priority are also committed to tithing. Then they are to immediately enlist a new tither. We aren’t asking them to sell Tupperware or phone cards. Sure, everyone uses those items and they are easy to sell, but where’s the eternal value? No, tithing promises a blessing now and in the future. For every new tither that is enlisted, the finance committee could pay the faithful few 1% of the net income from that person’s new tithe. In addition, the church will write you a check every month, every year for as long as your new tither keeps tithing. Think of the possibilities. First, you’ll be able to increase your own tithe. Second, you’ll have more disposable income to use for missions or vacations. Third, you’ll be a candidate for the next TBN marathon testimony time. Let’s break down the numbers. 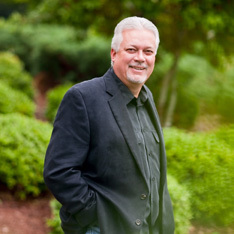 If you were to recruit a tither who makes $100,000 a year (and most of them don’t tithe – they can’t afford it), that would mean you would get $1,000 (your 1% as a “finder’s fee”). And the gift just keeps on giving as long as your recruit keeps on tithing. As a bonus, if your new recruit gives over and above a tithe (to missions, love offerings, and building campaigns) you’ll get 1% of those gifts too. This has the potential to build a substantial discretionary income for you and your family over the life of the tither. But hey, that’s not the genius of multi-level tithing. The genius to the system is you get a cut of the tithe from every person your recruit recruits. So, in addition to your 1% kickback, you’ll get increasing percentages based on the people your original tither recruits. The finance committee could encourage those who stay within and work the system to imagine up to 10% if the original tither will enlist just five more tithers. After all, it’s better to make a person a tithing recruiter than to lead a person to tithe alone. In these days of declining resources and givers, we need new strategies that will work – and be a blessing. Imagine the motivation within every church, regardless of the giving demographics, if they embrace the importance of being tithing-recruiters. With a minimum of three to five hours a week, done from the comfort of your own home, you could double and even triple your income – increase your own tithe – and build a substantial discretionary income. Who says you can’t have your cake and eat it too? You and your family, by getting in on the ground floor (see it pays to pray), could soon be pulling down six figures a year, and helping the Lord do His work in this world. Just remember, like any multi-level effort, only those who get in on the ground floor reap the full benefits of the plan. Please remember it is very important that you sign up now. Get your personal ID number so all gifts can be accurately credited to your account. We want to make sure the truly faithful and committed get credit in this life, as well as the next. So please, don’t buy into the world’s multi-level marketing schemes. They never produce what they promise. Make sure you invest in the Tithing Trust Fund for Fun marketing plan, available through your local church. Who needs faith when you’ve got a multi-level gold mine before you. If you missed the multi-media presentation in prayer meeting, please call our Administrator for details. Only those with certified Tithing Trust Fund account numbers will be allowed to recruit among our membership. 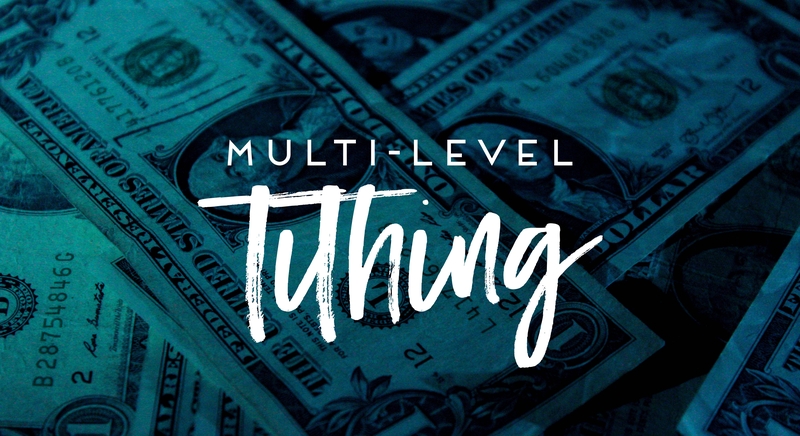 There’s still room on the ground floor of success and prosperity through tithing – join now!